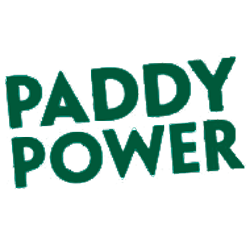 Paddy Power received its lucky name through the combined efforts of the last name of one of the three founders; David Power, and “Paddy” emphasizing the company’s Irishness. While this online casino may indeed sound Irish, it is also targeted towards UK players as well, and does so well that Paddy Power can also be found in the UK and London Stock Exchange. This is no surprise, since Paddy Power offers an enormous array of games, including an impressive amount, and variety of roulette games, plus £ 10 free, no deposit! Paddy Power is a grand online casino with an enormous offer of games. Not only with sports book, but also in their casino tables games offer. Their roulette games are varied, from regular roulette games to special roulette games such as Age of Gods, Money-Back Roulette, or Triple Bonus Spin Roulette. 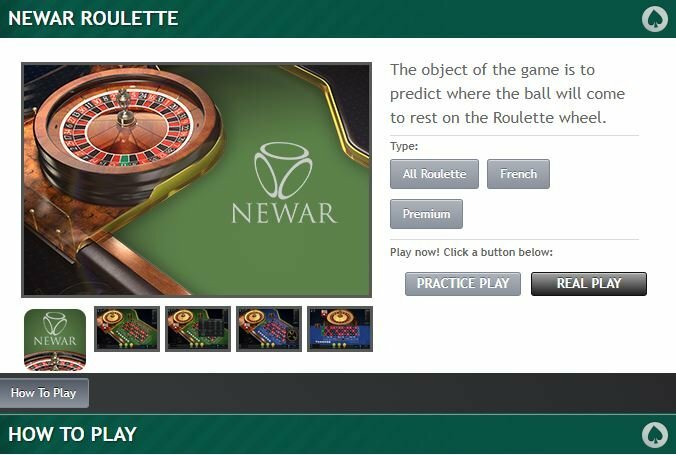 For more information about the different types of roulette, you can read the information pages to find an explanation of the roulette games. Paddy Power has a green, lucky impression, portraying this online casino’s Irishness, without making it childish. As soon as you register, you can see how huge this online casino is, with ten gaming categories, and multiple sub-categories. While it may be slightly overwhelming at first; the neat and clear overview has been well thought-through, and thus leads to a pleasant casino experience. Through the use of multiple categories and sub-categories, Paddy Power makes it easy for players to scroll through roulette games. Even so, roulette games are spread between the casino, live casino, and games category. It is also possible to download the casino software on your desktop. You can find an abundance of information at the Paddy Power site itself in regards to games, but also in the FAQ section. Should you still have questions however, you can call the UK telephone line for queries as well as to place bets. You can also get in touch with the 24/7 chat, who help you with professional answers. You can also find the Cash Card PPlus here; a company card with which you can withdraw your winnings at ATMs. 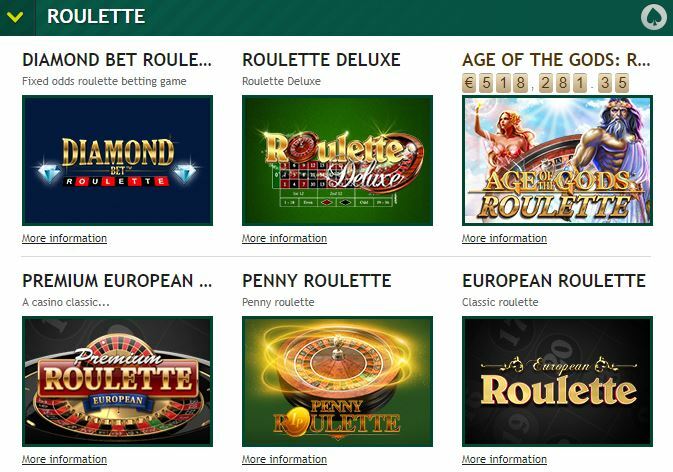 Paddy Power offer roulette table games from the known software provider PlayTech, but also from a less well-known Cayetano Gaming, and IGT Gaming. This leads to an availability of many different variations of roulette, such as AoG Roulette, Penny Roulette, Triple Bonus Spin Roulette (with three zeros), or Money-Back Roulette (win your bet back on zero). Play Roulette at Paddy Power now! Paddy Power makes use of the live casino of PlayTech. While PlayTech is not one of the leading software providers for live casino, they do offer many more games than other PlayTech live casino providers might. Thus, you can choose from 18 different roulette games, from one software provider, which is extremely high. While the quantity of games is very high here, the quality of the live feed and video feed is still quite low unfortunately. The Paddy Power live roulette table is completely dedicated to players at Paddy Power. At Paddy Power, you can make use of the casino welcome bonus, which is attractive with £ 10 no deposit, and up to £ 500 bonus money in three deposits. If you prefer playing live roulette, you can choose the live casino welcome bonus, where live roulette counts towards 100% of your wagering requirements. You can also take part in cash-back promotions, where you win back your losses. As a new player at Paddy Power, you can make use of the no deposit bonus straight after your registration. This grants you £ 10 for free once you’ve opt-ed in for this bonus. This bonus requires a wagering requirement of 40 times on eligible casino games. Roulette games count for 25% in regards to wagering (excluding live roulette games), which is a refreshing stake percentage, since usually it’s at 10%, if not 0%. This no deposit bonus is not available to players who use Moneybookers/Skrill or Neteller as a payment method (for deposit and/or withdrawal). sino. Your first deposit grants you 100% up to £ 200. The second deposit offers you 50% up to £ 100, and your third brings you another 100% up to £ 200. You can take part in this welcome bonus by clicking on the “Buy In” button at the online casino. Similarly, players using the above payment methods cannot make use of this welcome bonus unfortunately. If you would rather play live roulette, you can also make use of the live casino welcome bonus of 100% up to £ 100 with a wagering requirement of 40 times. All the live casino games do count towards wagering with this bonus. In fact, live roulette tables count for 100%, while blackjack, baccarat and casino hold’em games count for 20%. At Paddy Power, you can also make use of the 15% Weekend Loss-back promotion, where you receive 15% cashback. If you opt in in the weekend, you receive 15% cash back up to £ 500 in bonus money. This bonus money has a wagering requirement of only 10 times. Unfortunately, there are no other exciting or roulette targeted promotions, which they could look into. Paddy Power has VIP extras, but not through a program where you can check how many points you need for each level. They do however, mention that they have five VIP levels, and that the VIP team will get in touch with you when you are eligible for this status. You will then receive VIP bonus cash, invitations to VIP events, exclusive promotions every day, casino club points, and a dedicated VIP support team. You can also become a High Roller at the live casino category. Where you will be rewarded with weekly bonuses, high roller promotions, VIP experiences such as Monaco Grand Prix, trip to Vegas etc, high roller tables with higher table limits, and extra fast payments and withdrawals. Paddy Power is an extremely impressive online casino. As an enormous online casino with many different gaming options, their roulette game offer is still higher than many other online casinos. They offer a separate welcome bonus for the casino and live casino category, so you can play on live casino games or roulette table games, and it counts towards wagering.